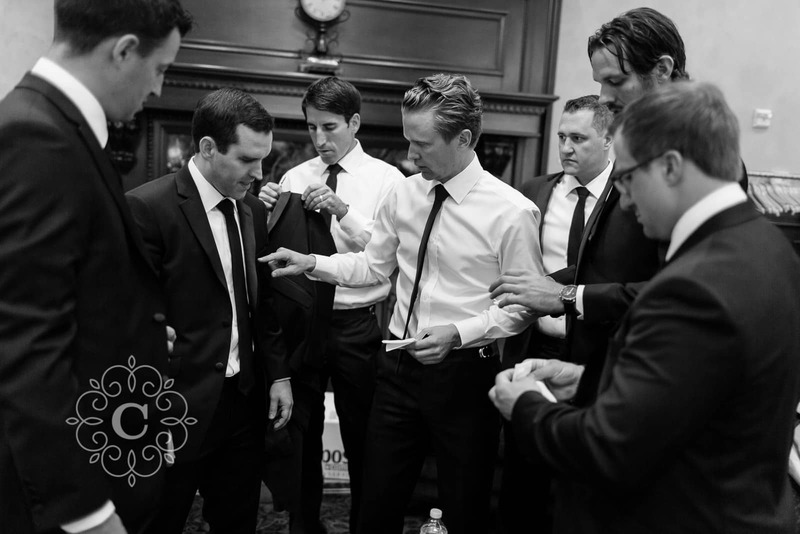 I originally met Bernie over a year prior when I photographed his best friend Tim’s wedding (Tim and Jamie were married in May 2016). 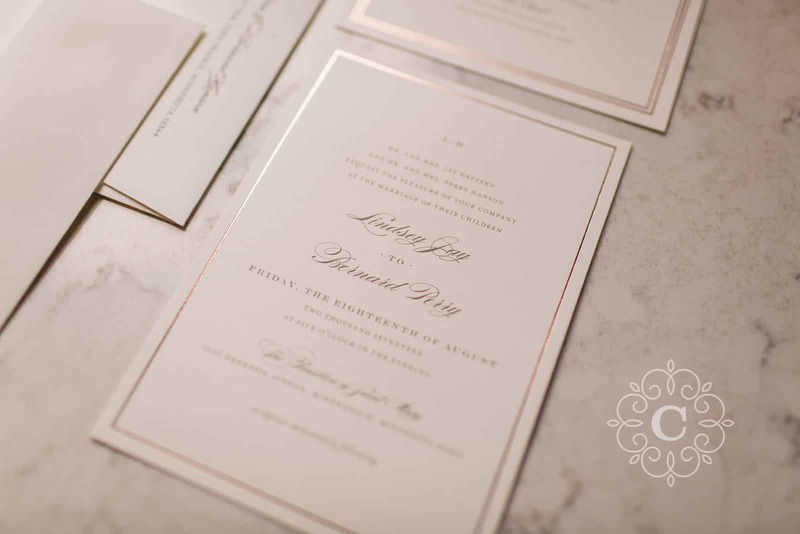 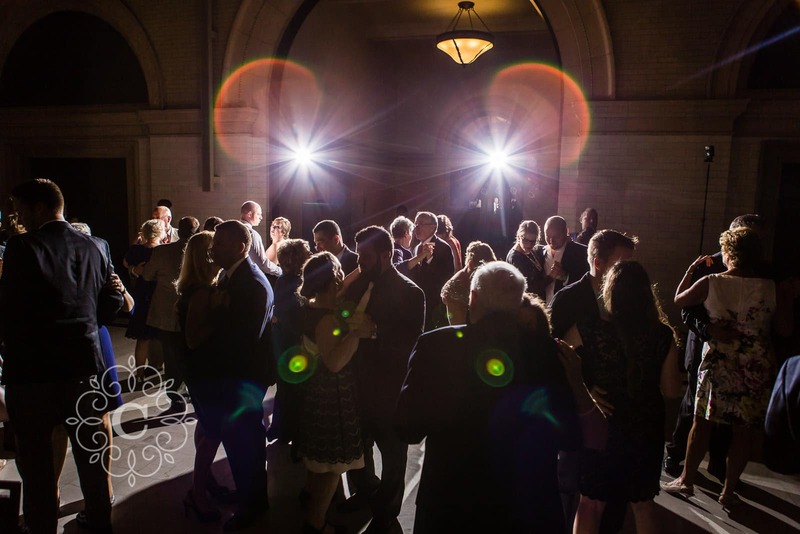 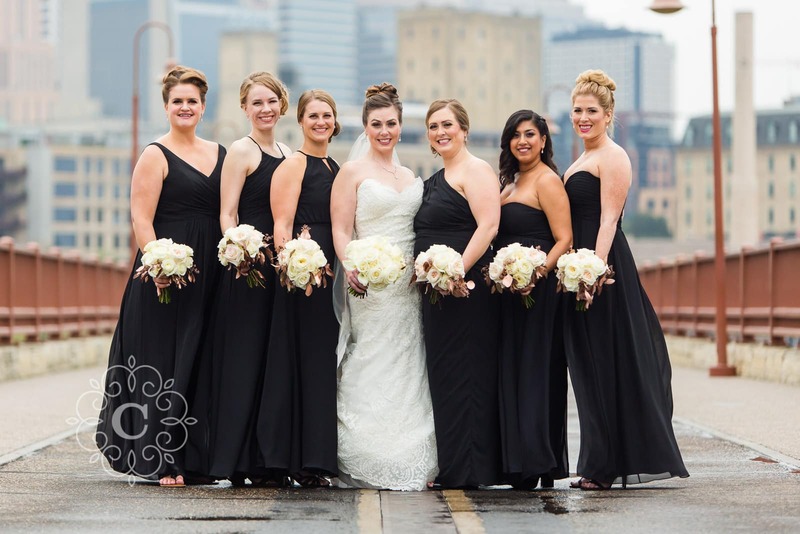 So of course I was elated when Lindsey + Bernie decided to work with me for their Minneapolis wedding photography too. 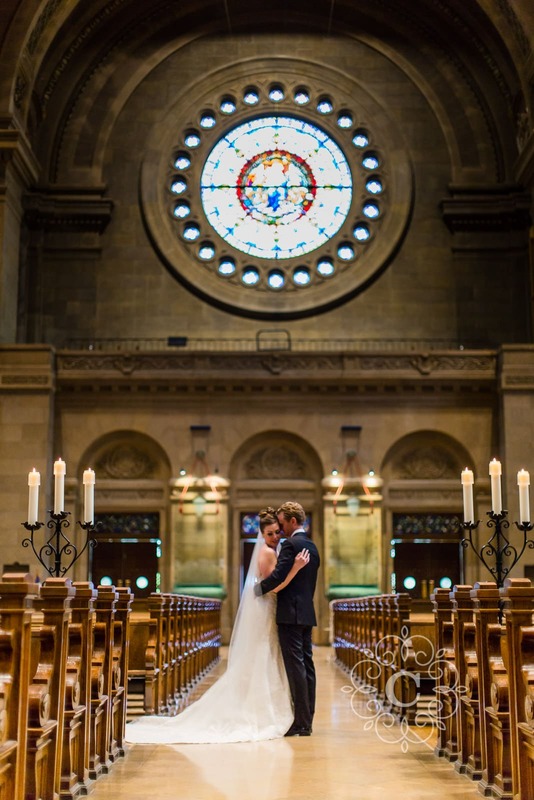 They were planning an amazing Basilica wedding and Depot wedding reception, and I was so excited! 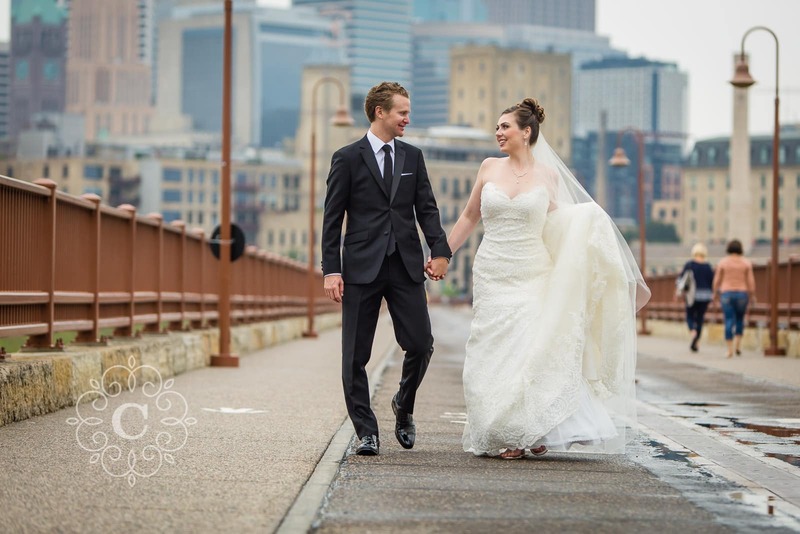 Our first step was to start with their Father Hennepin Bluff Park and Stone Arch Bridge engagement photography. 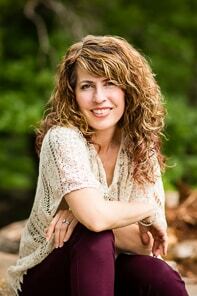 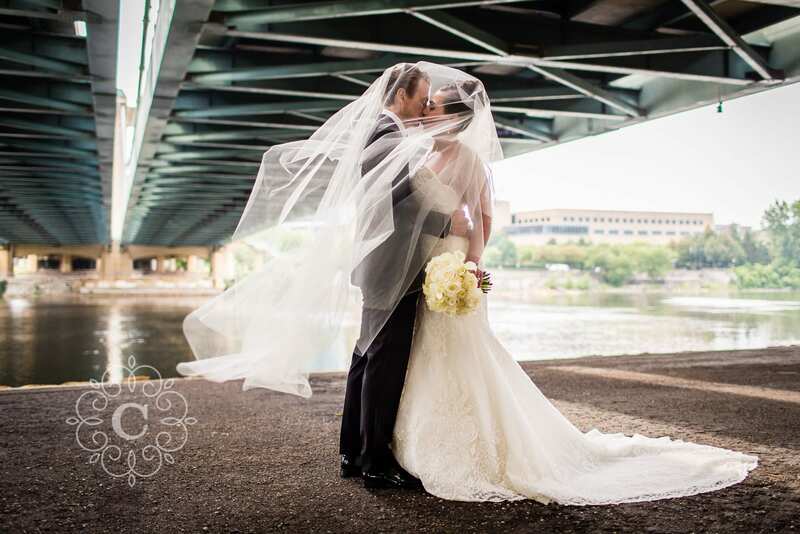 They loved the area for its combination of classic Minneapolis beauty and touch of nature. 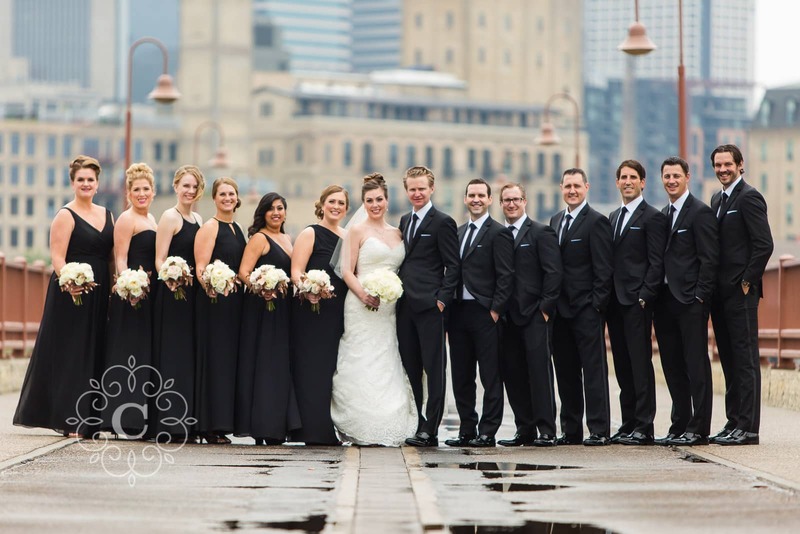 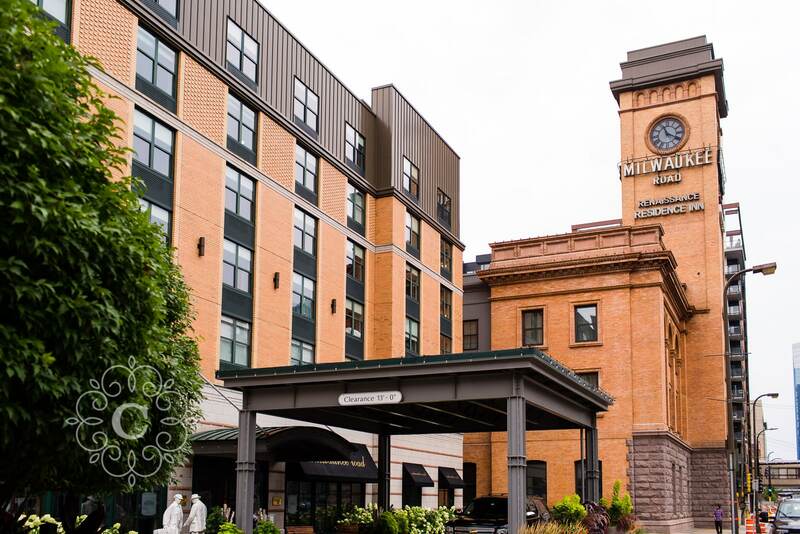 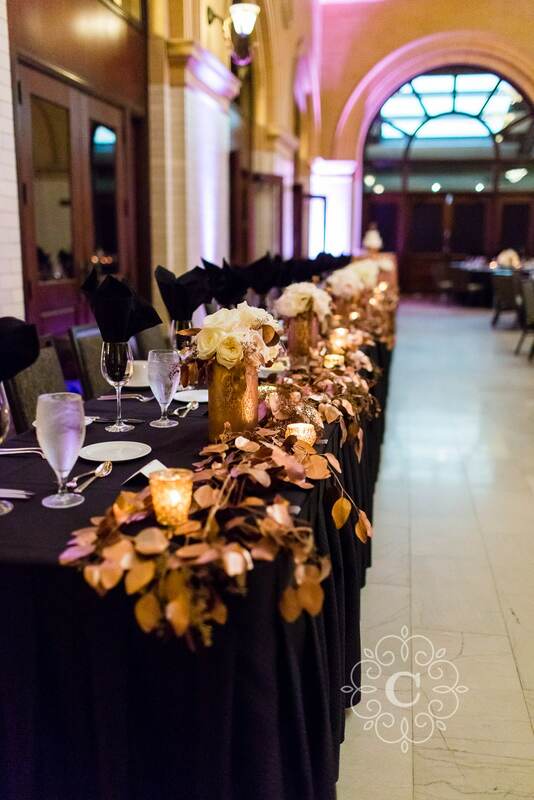 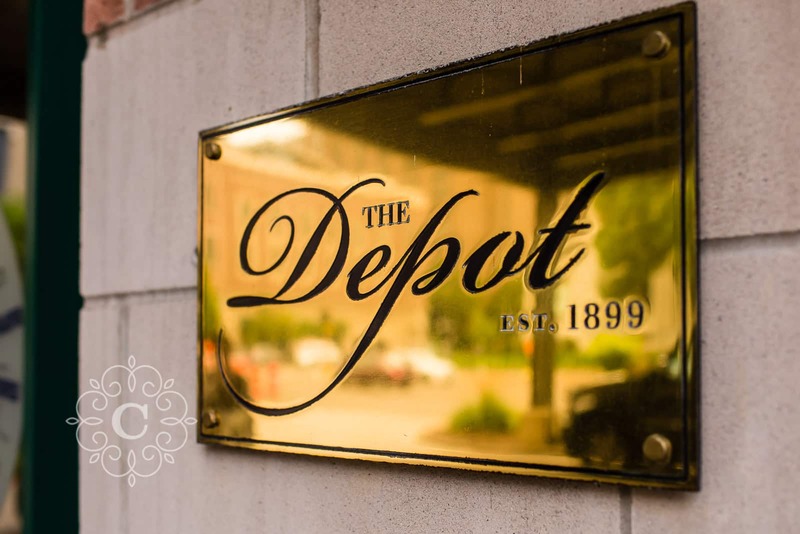 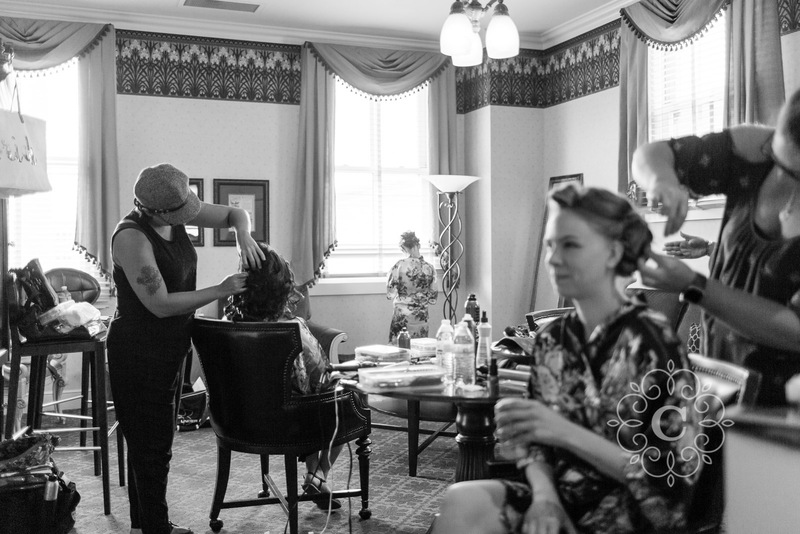 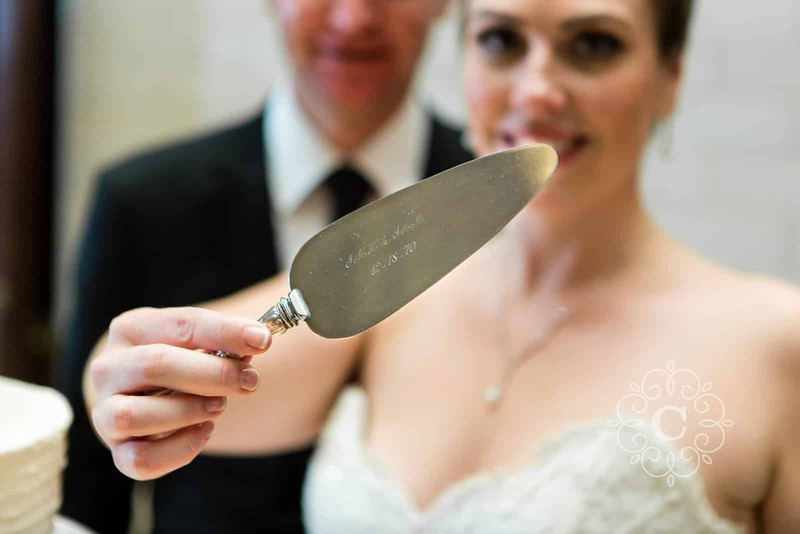 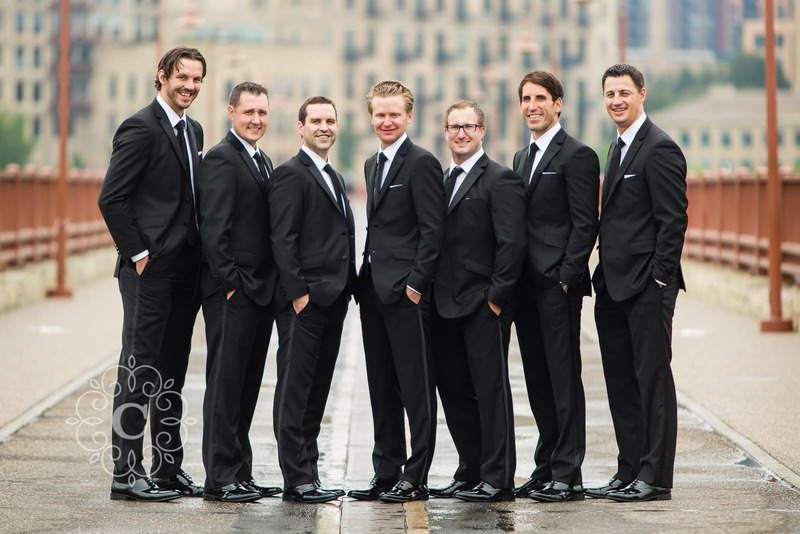 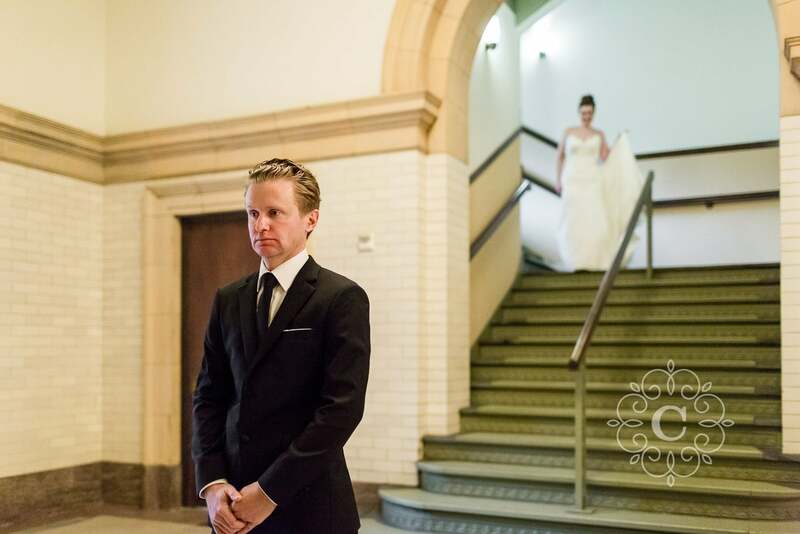 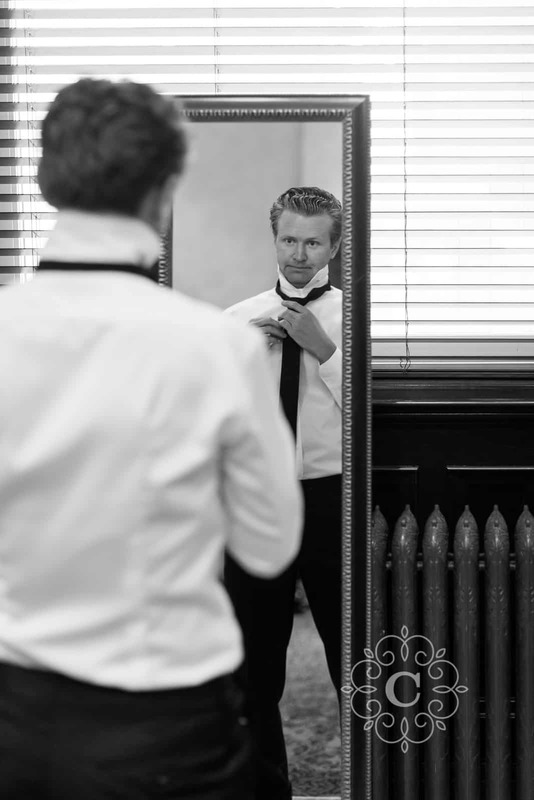 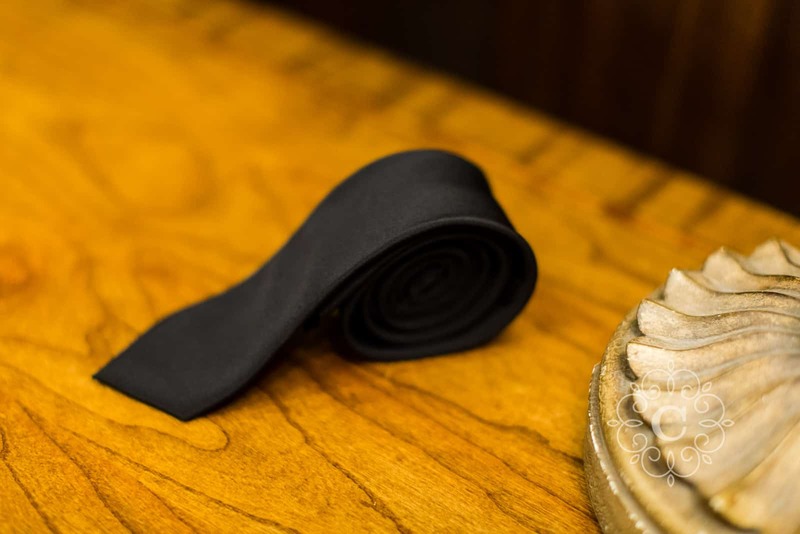 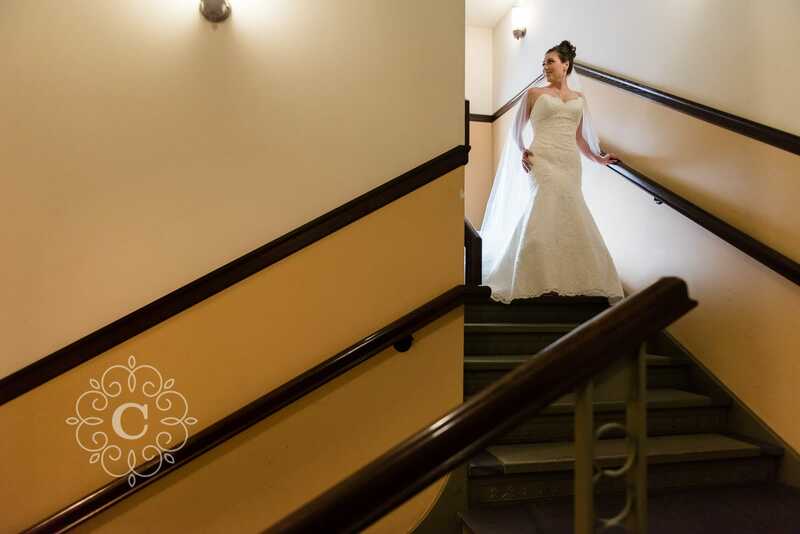 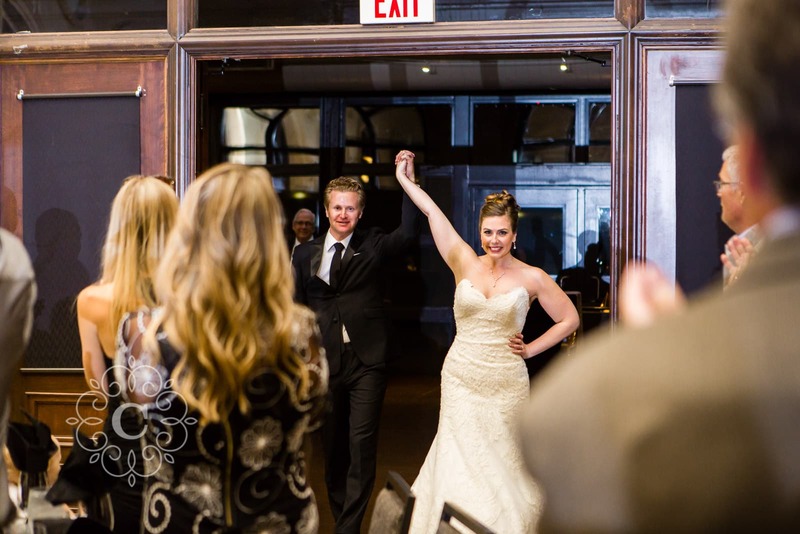 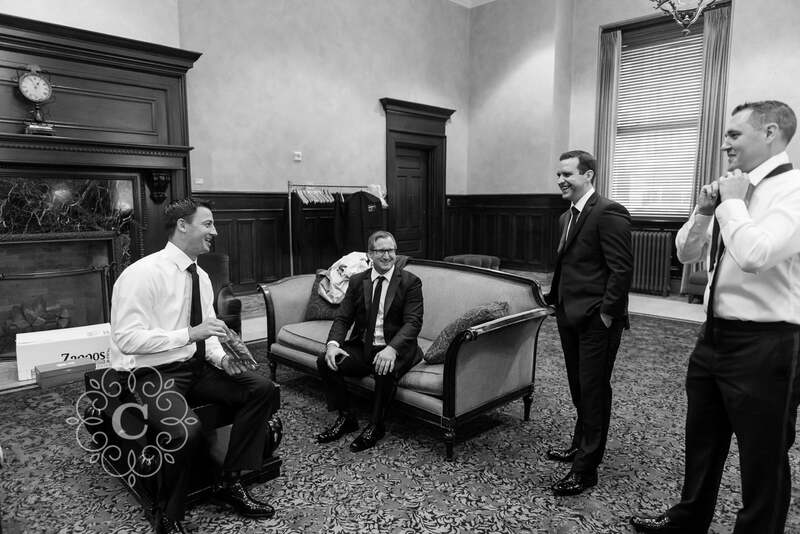 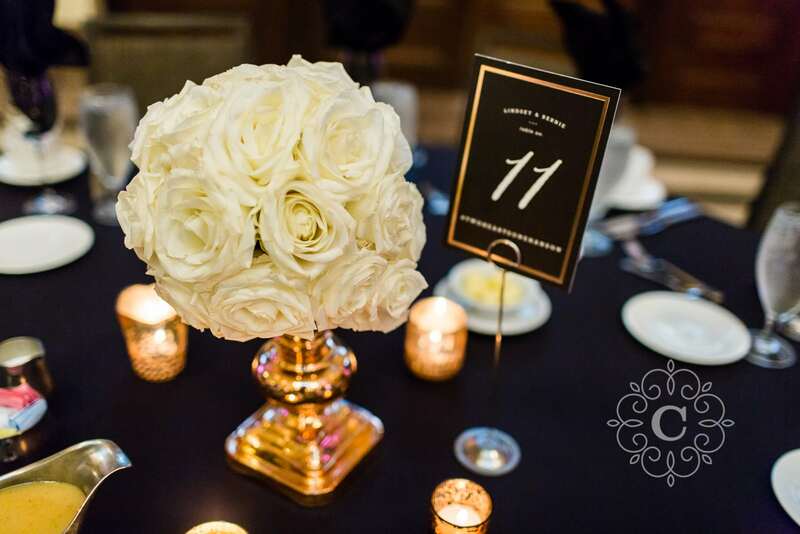 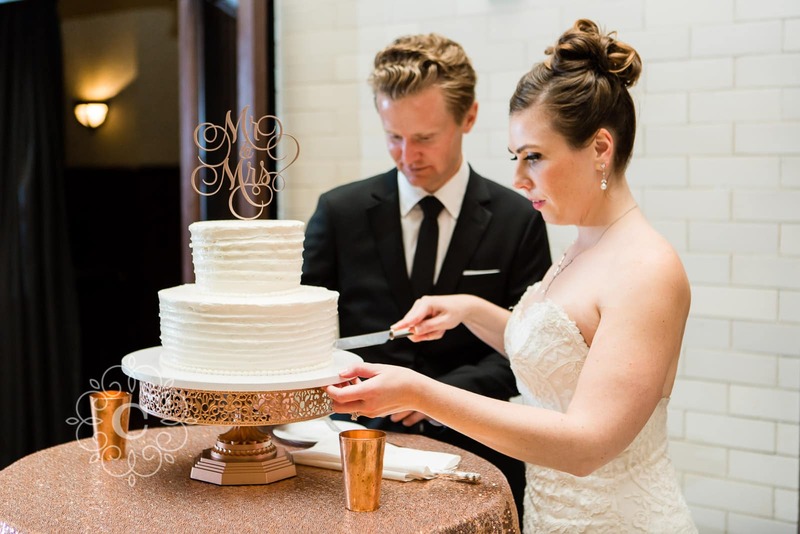 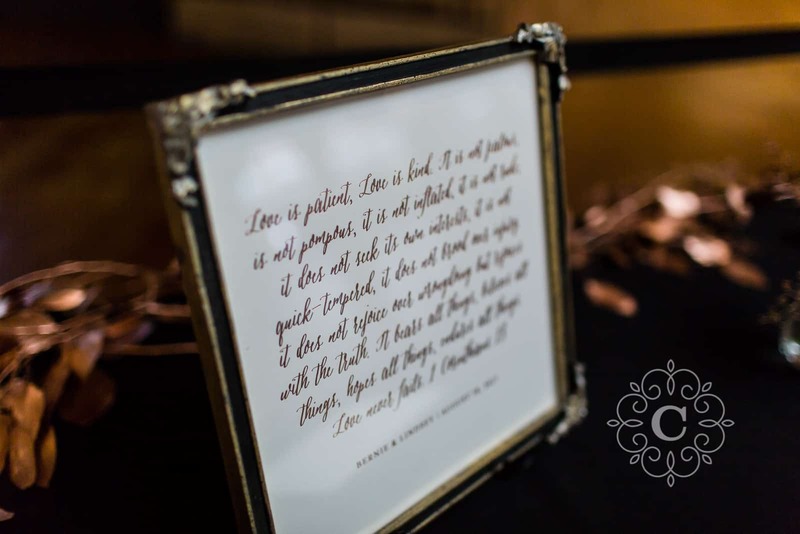 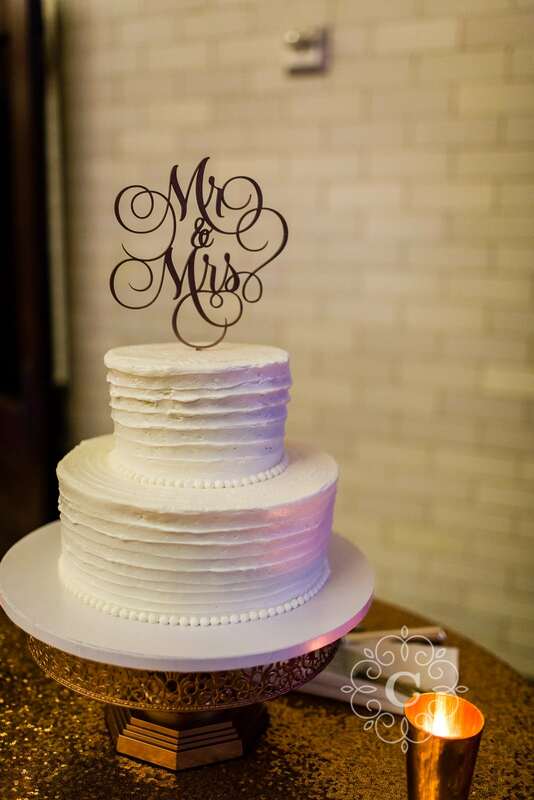 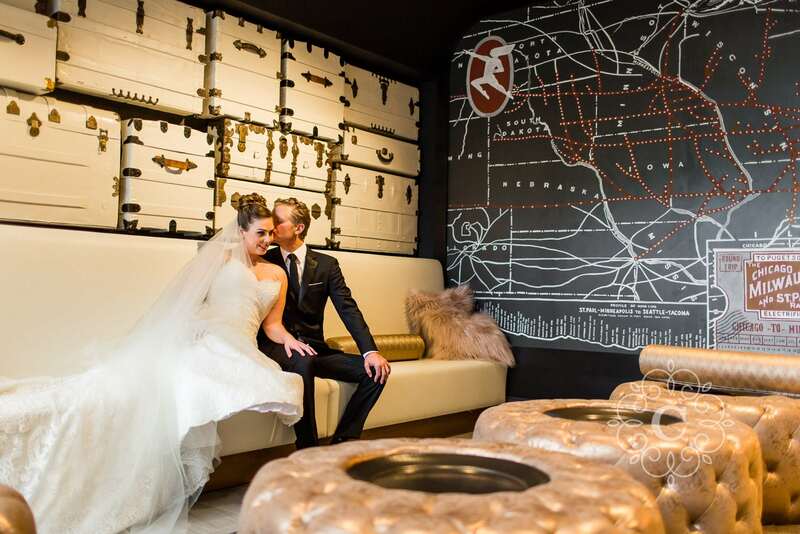 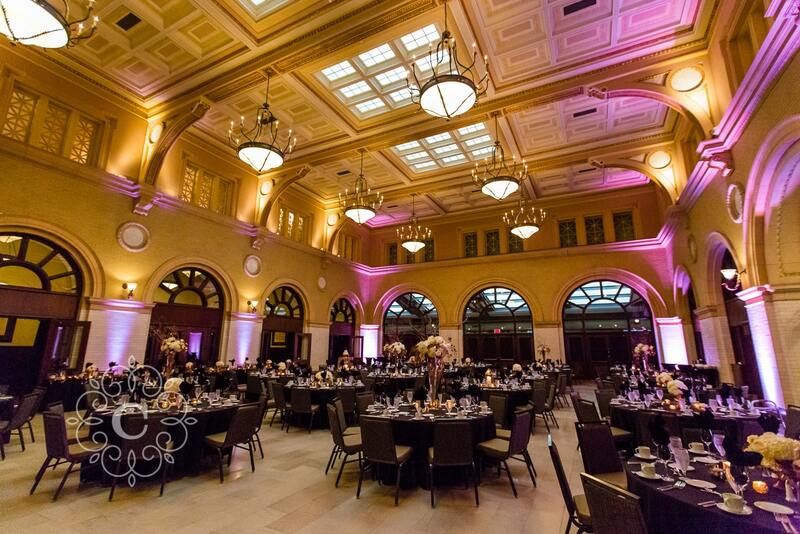 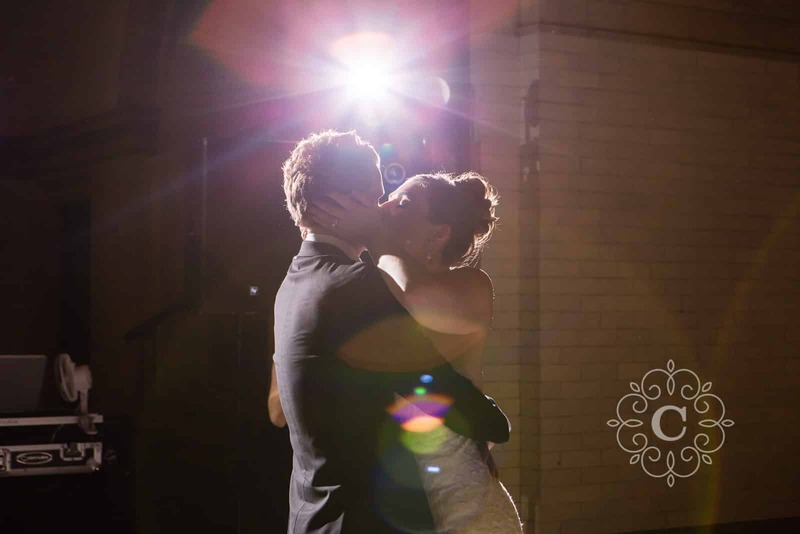 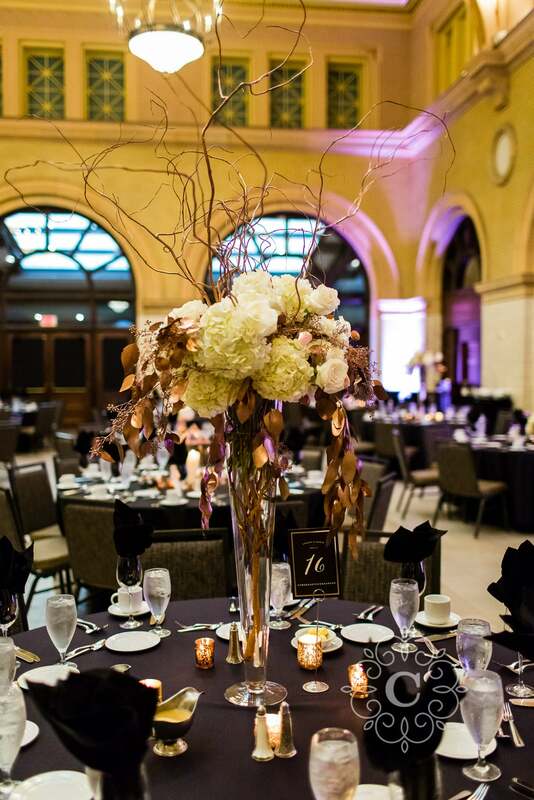 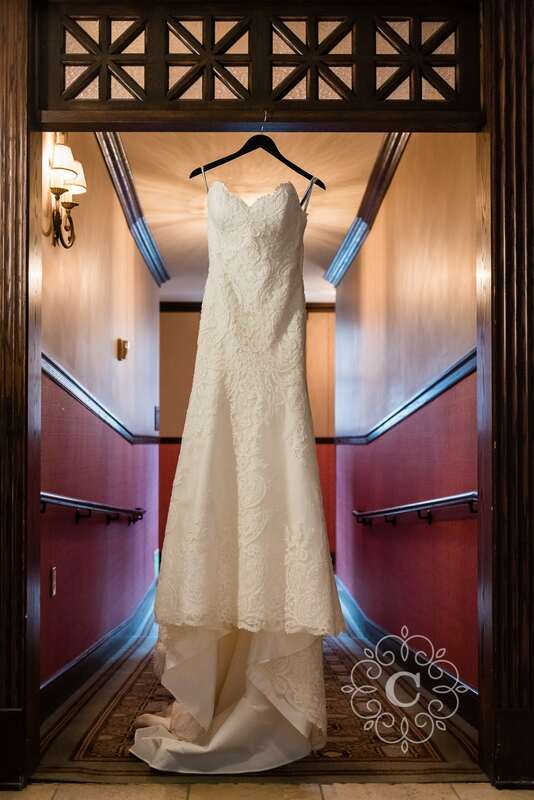 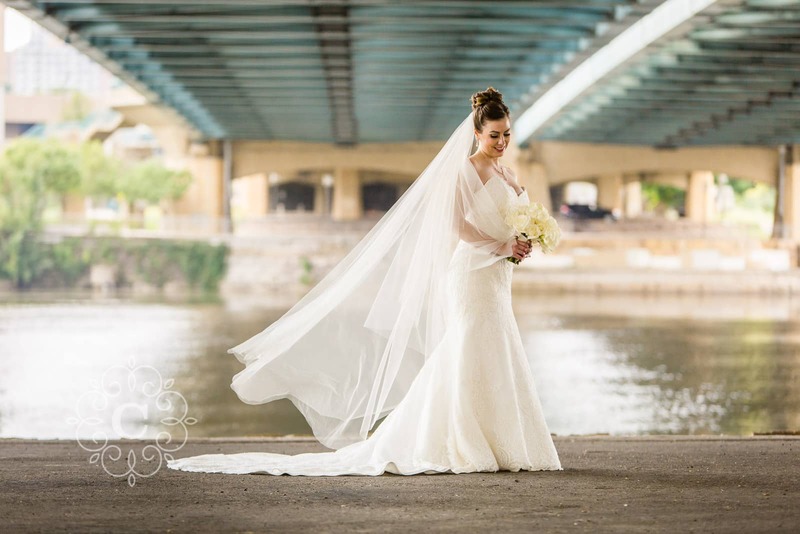 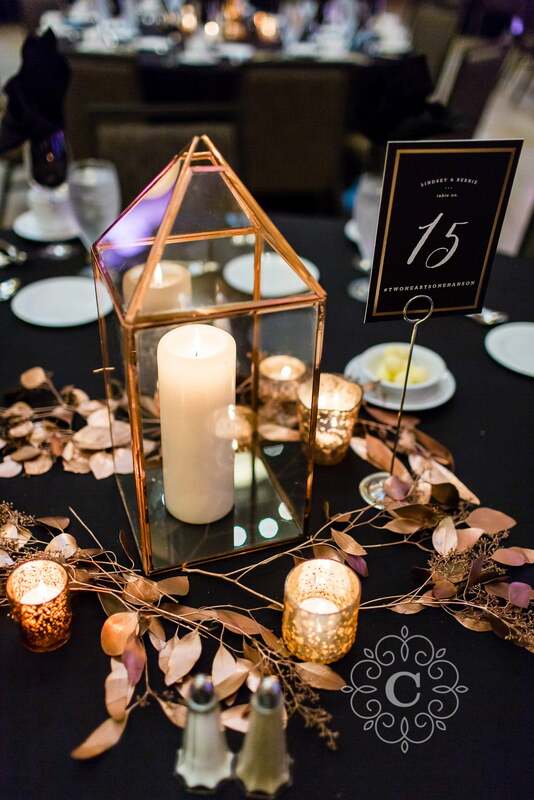 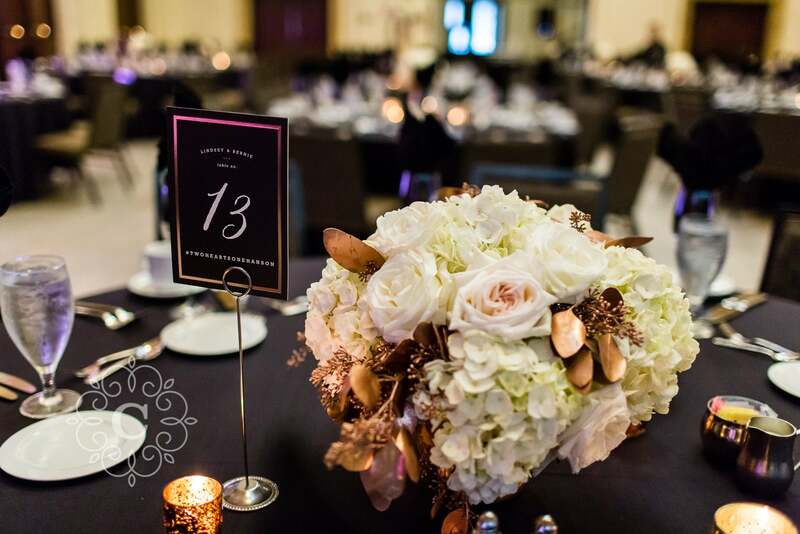 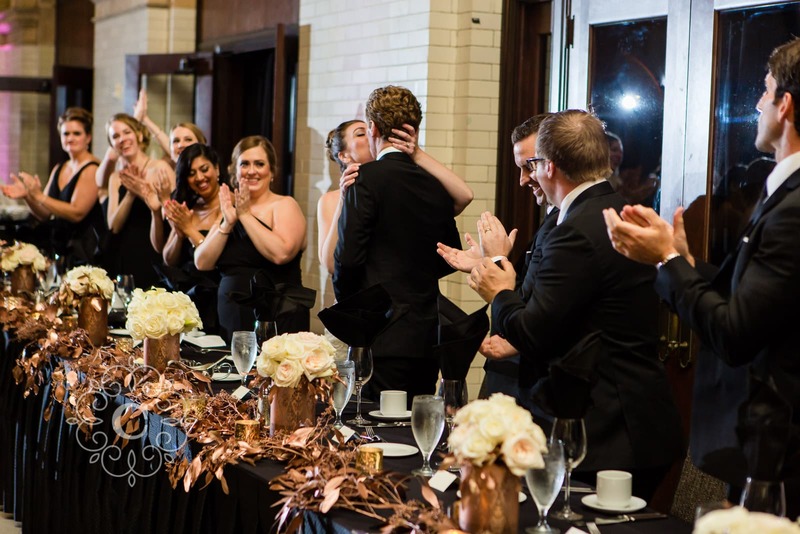 The day of their wedding began at The Depot at the Minneapolis Renaissance Hotel. 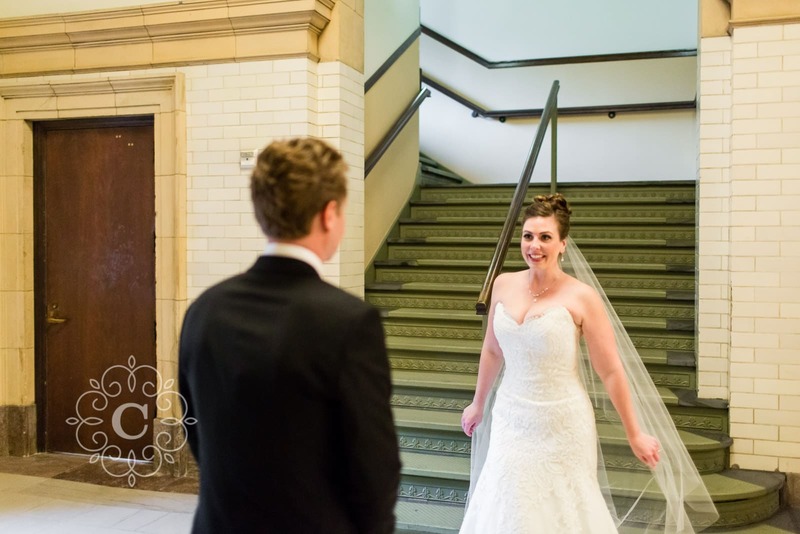 Once their prep work was complete, the two of them held a private moment to read cards they had written to each other and finally have their first look in a quiet corner of The Depot. 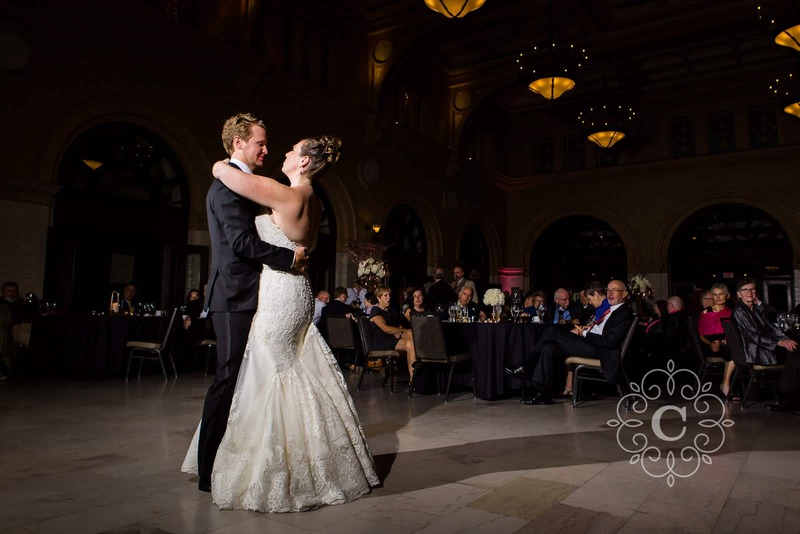 Afterward, we headed into the lobby of The Depot for more couple photos and spending time together thinking about what was to come. 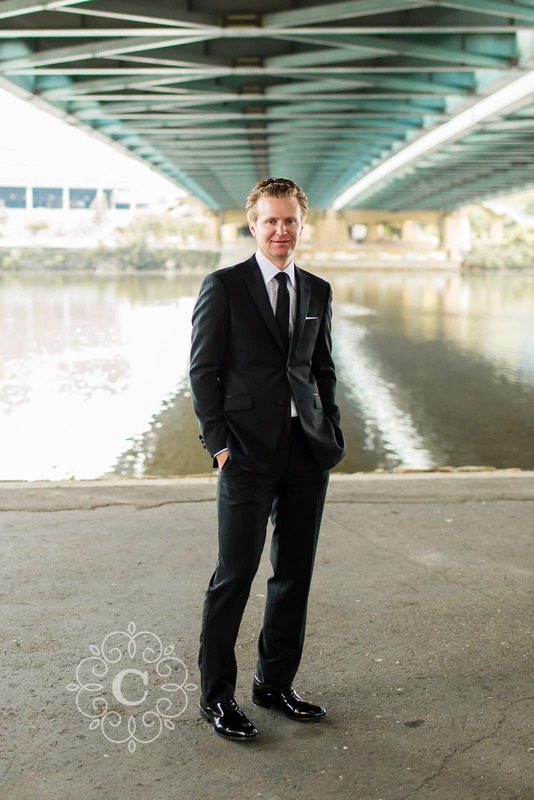 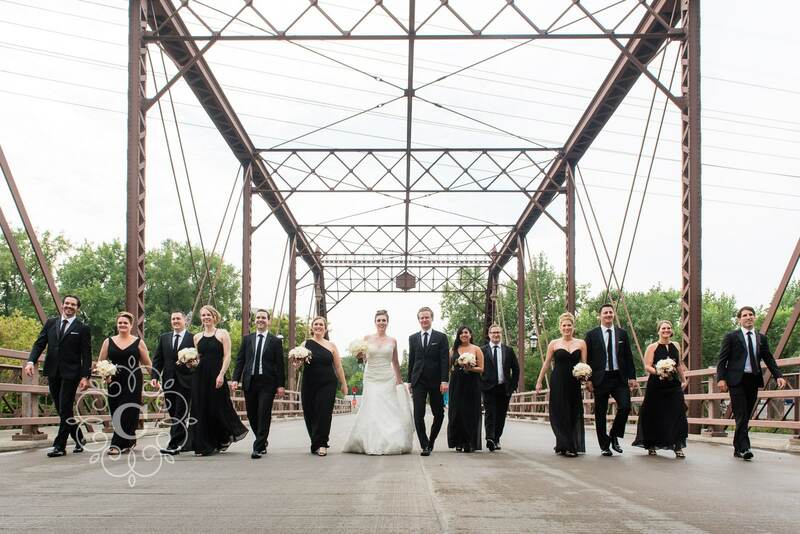 We then headed off to the Stone Arch Bridge for some time photographing the entire wedding party together, both on the Stone Arch as well as in the St Anthony Main area. 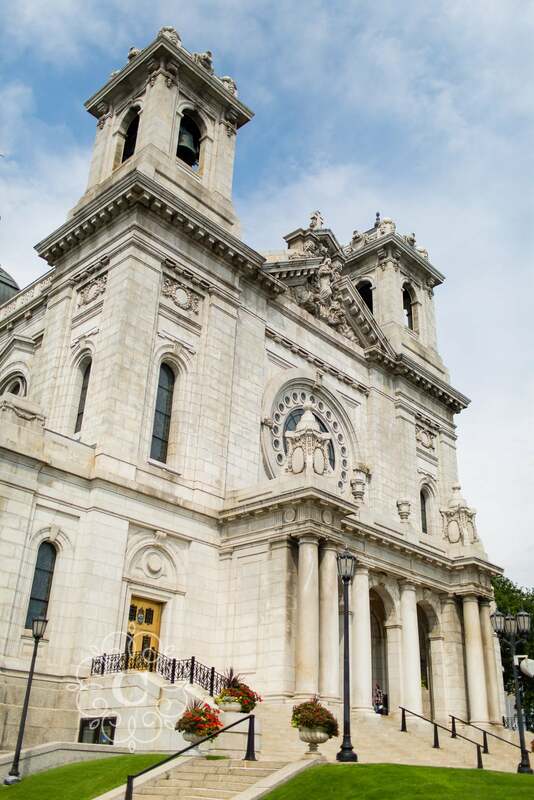 We continued on to the Basilica of St Mary for their family photos and a few others before their amazing wedding ceremony took place. 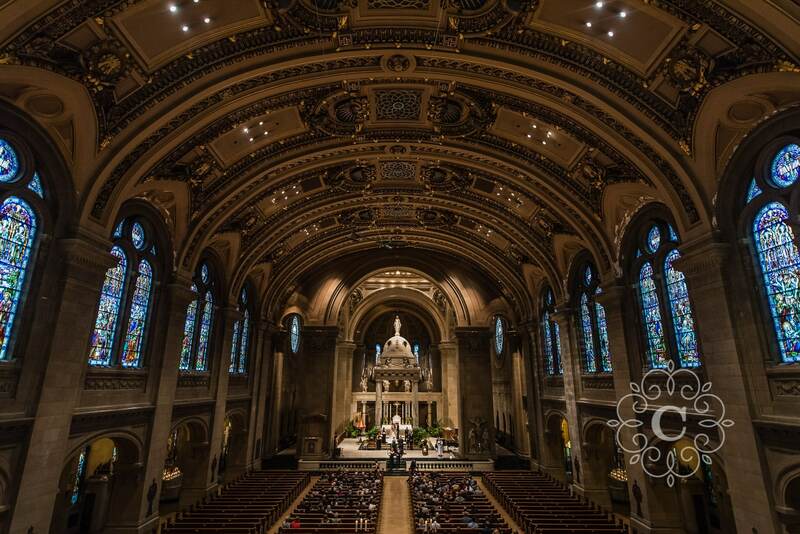 Such a grand and beautiful location! 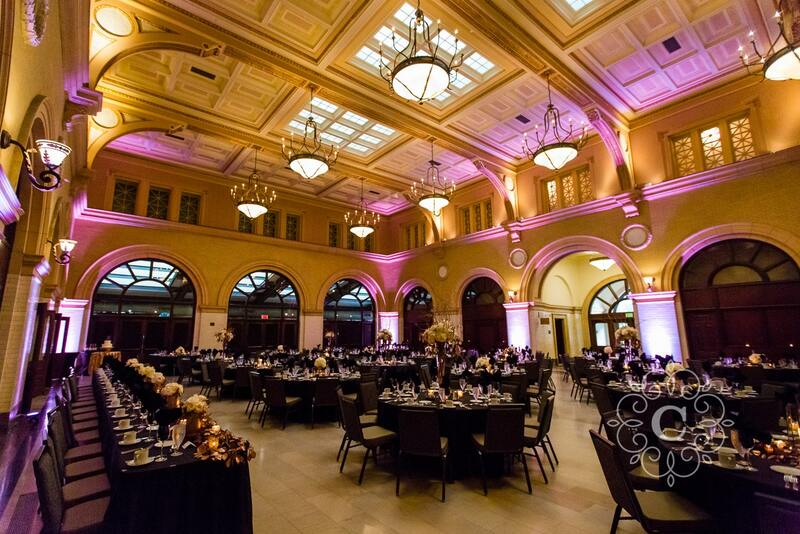 And finally, we headed back to the Depot for cocktail hour, dinner, toasts and dancing the night away. 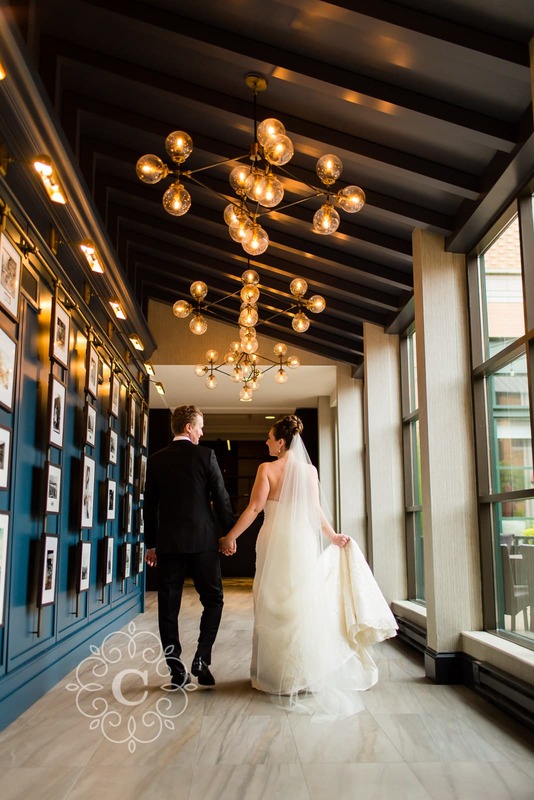 Lindsey + Bernie, thank you so much for including me as your Minneapolis wedding photographer on one of the most important days of your lives. 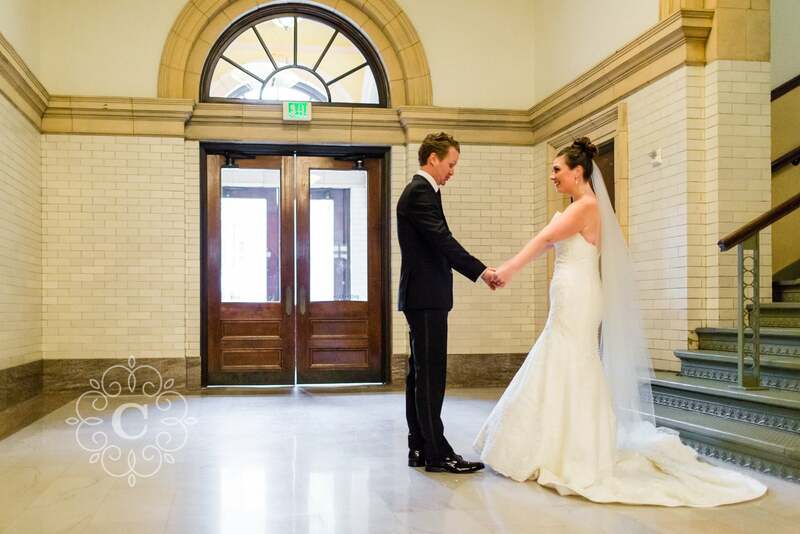 I’ve enjoyed getting to know you, and am so happy for you both as you begin your new lives together! 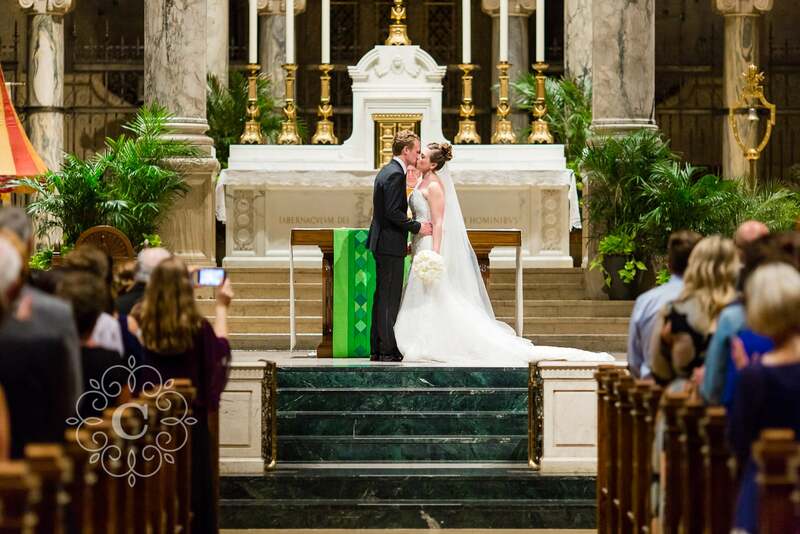 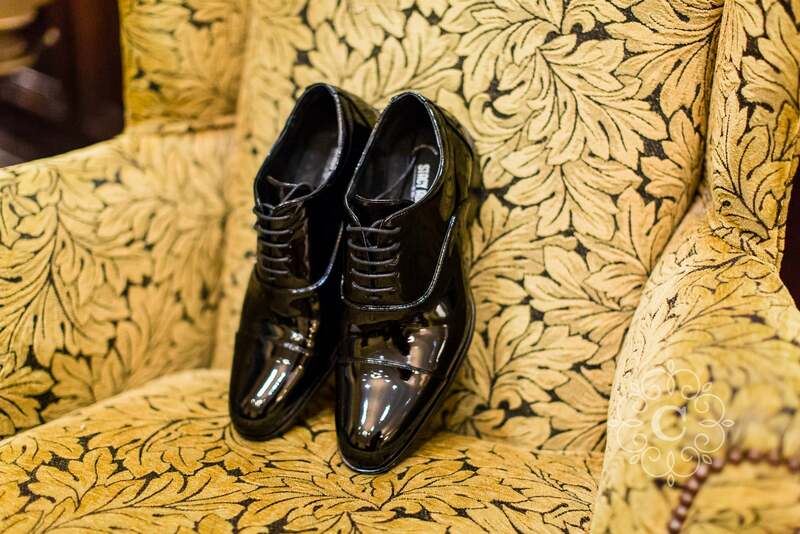 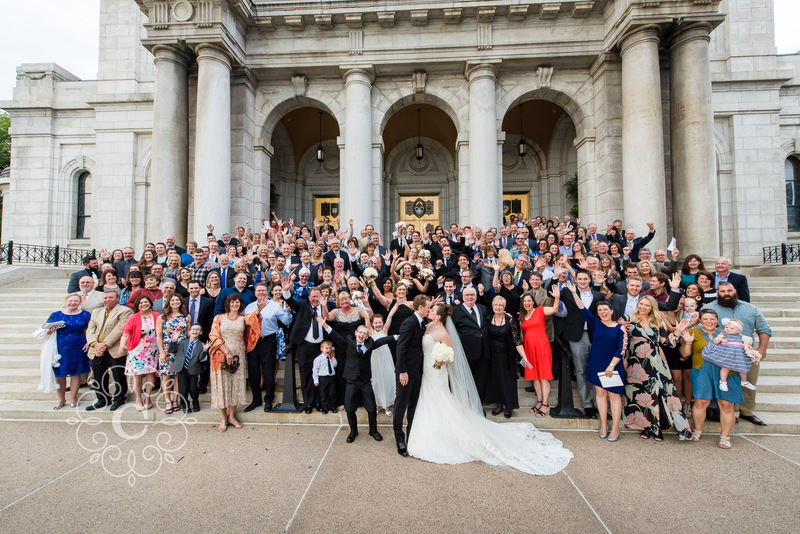 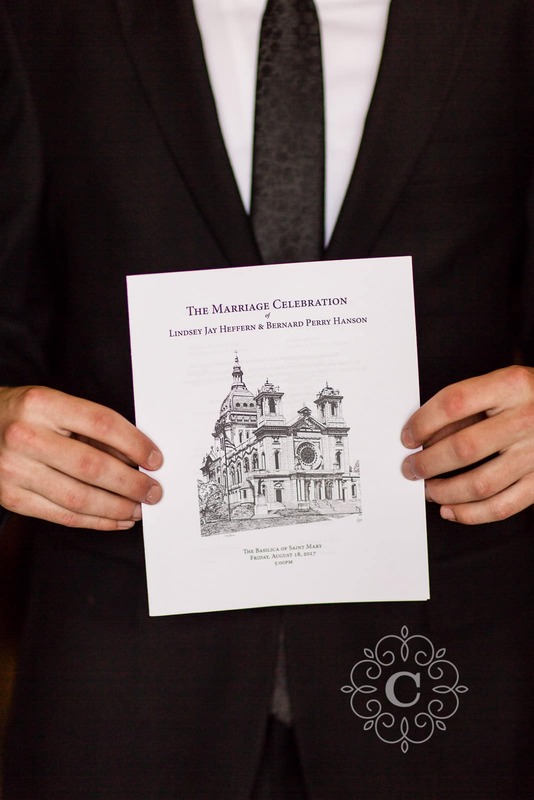 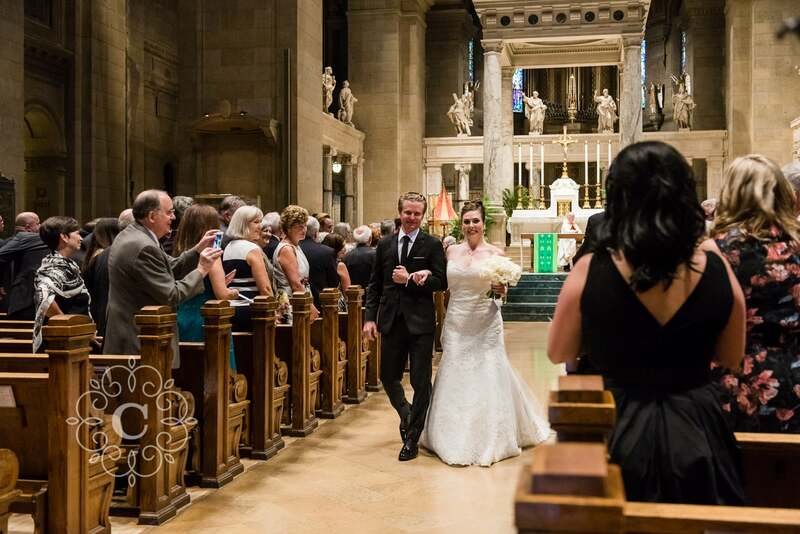 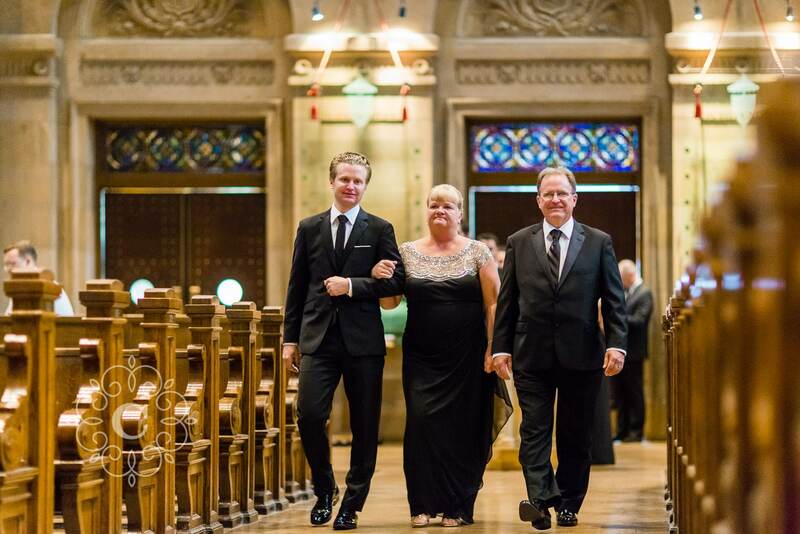 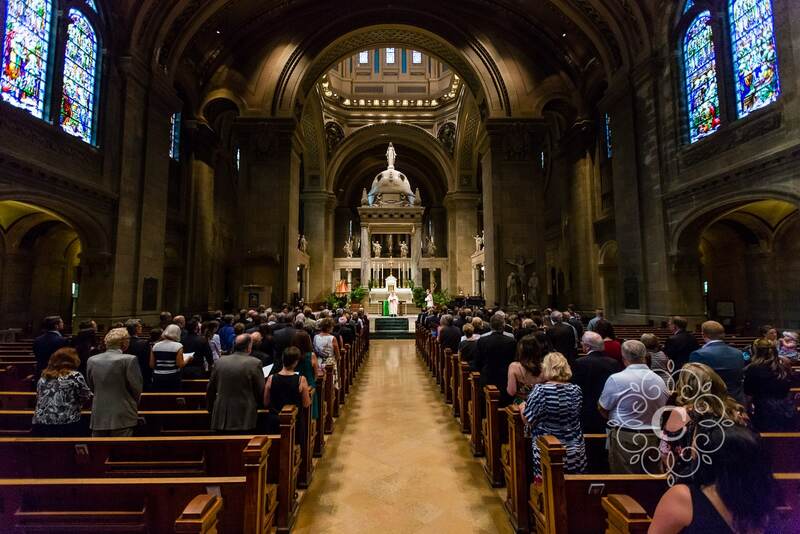 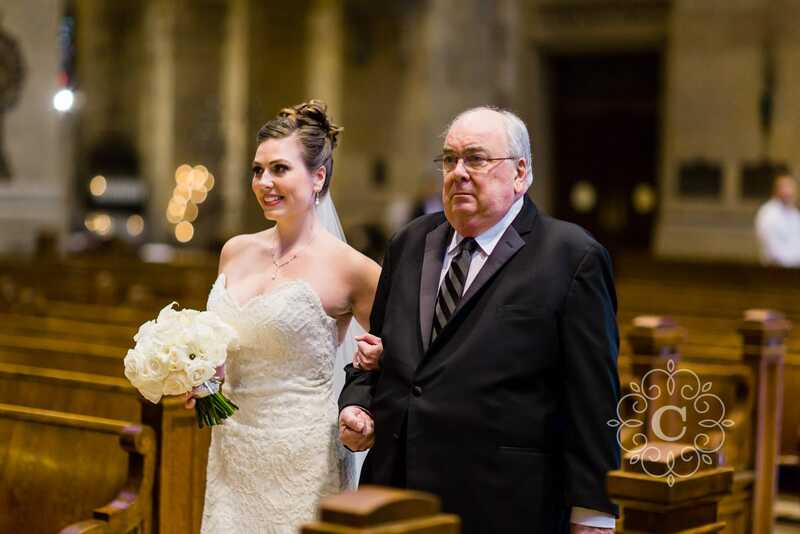 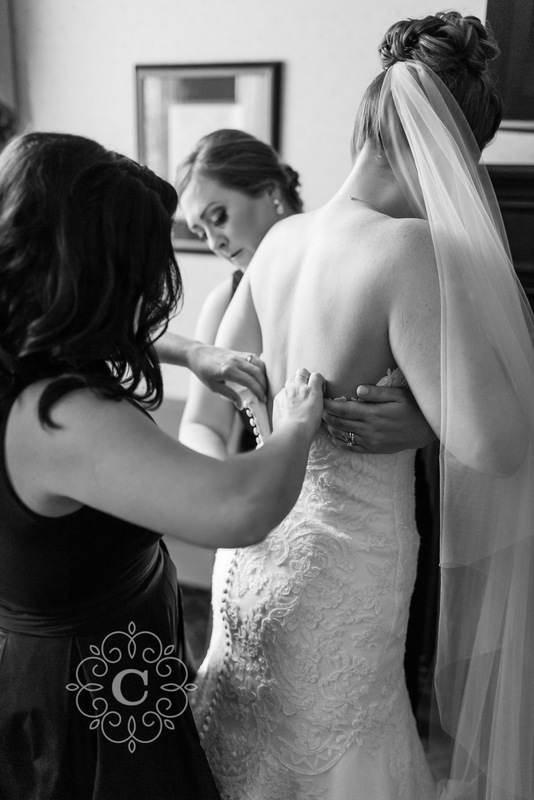 Take a look at some of my other Basilica of St Mary wedding photos too! 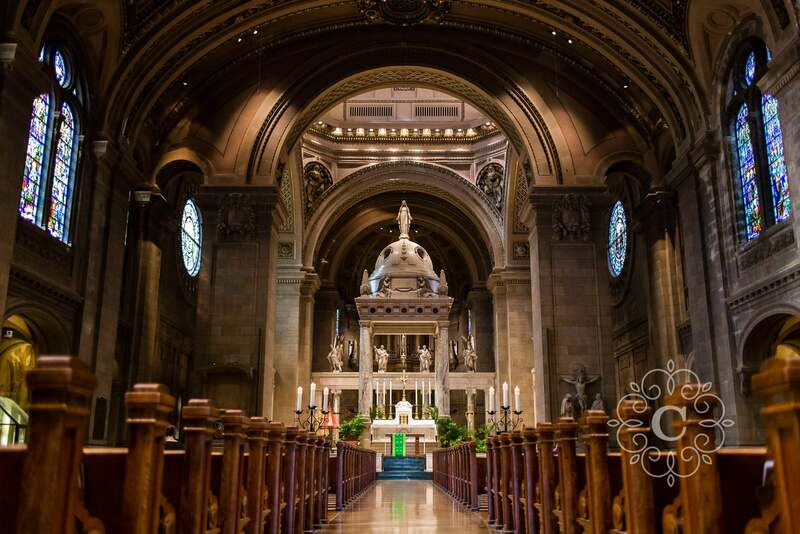 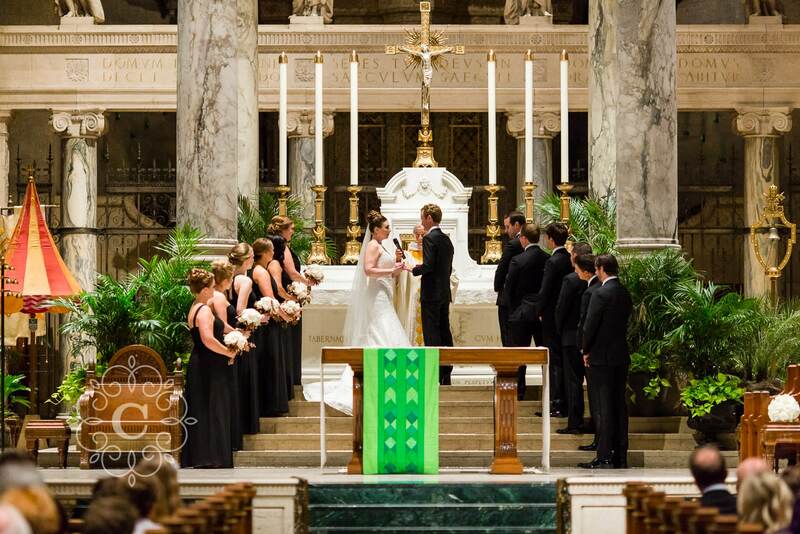 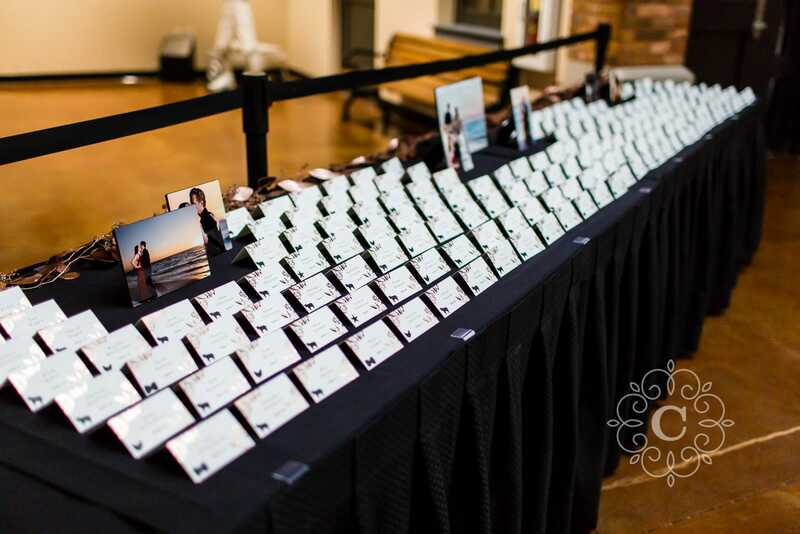 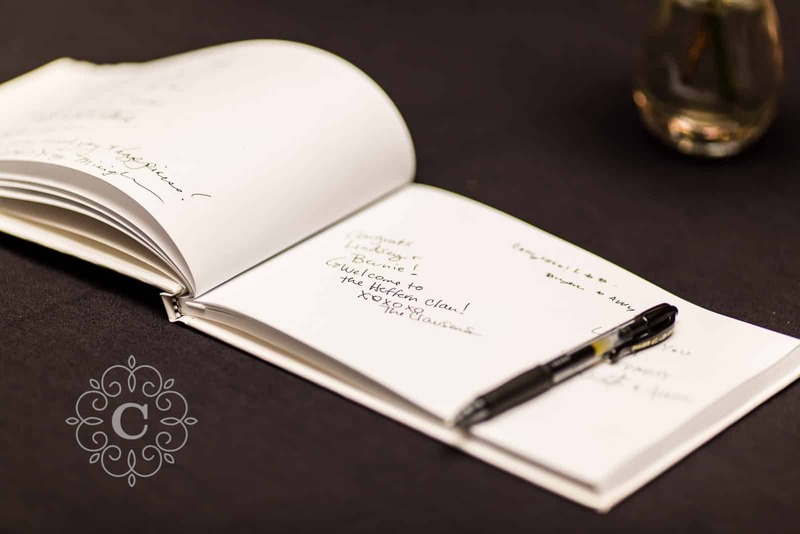 If you are planning a Minneapolis Depot or Basilica of St Mary wedding, contact me soon to discuss how we could work together! 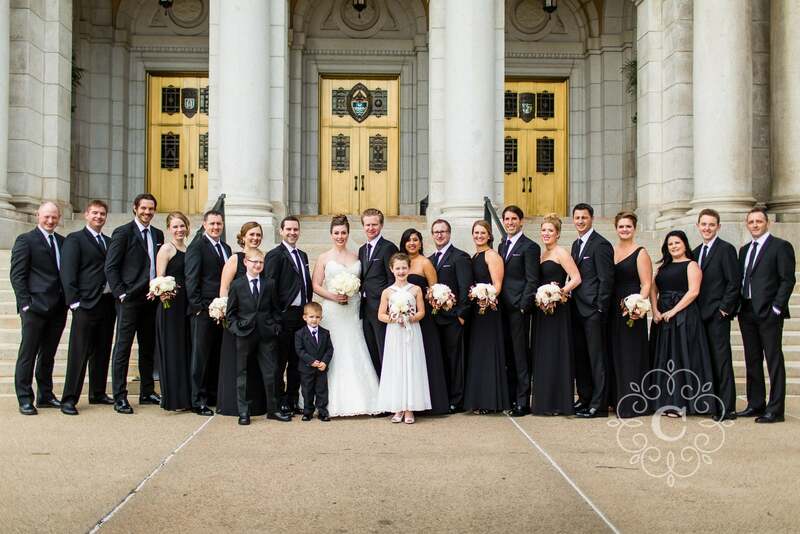 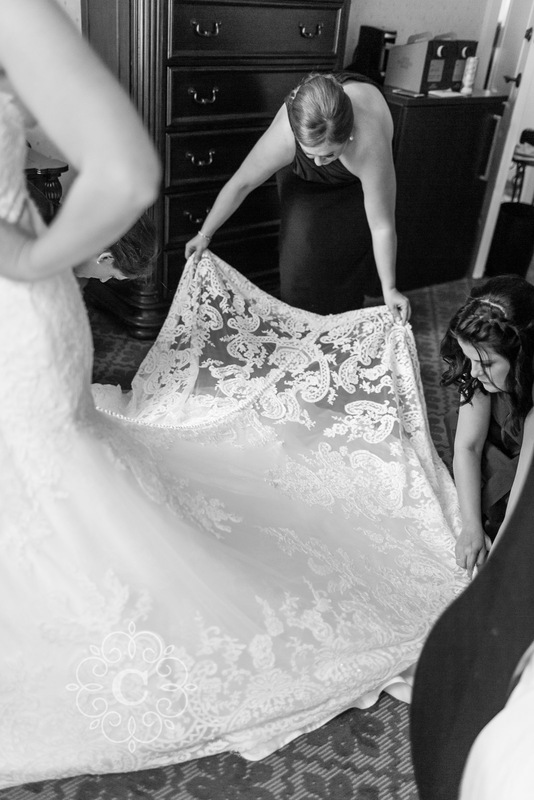 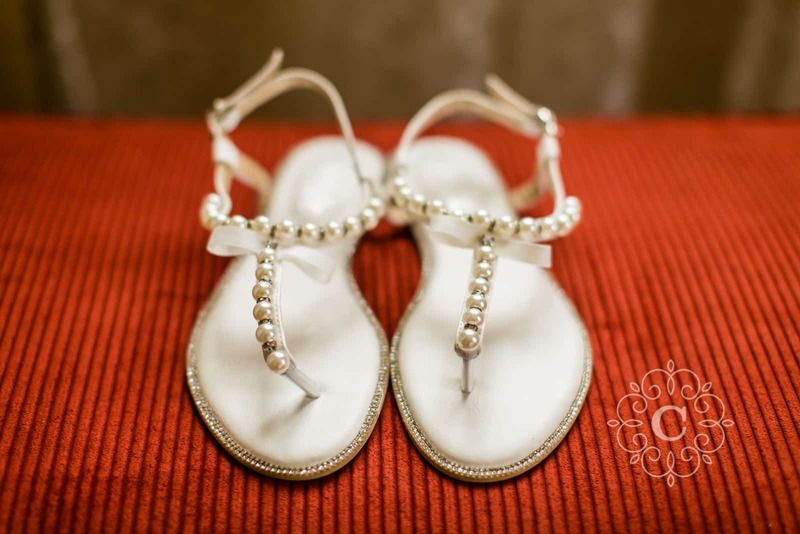 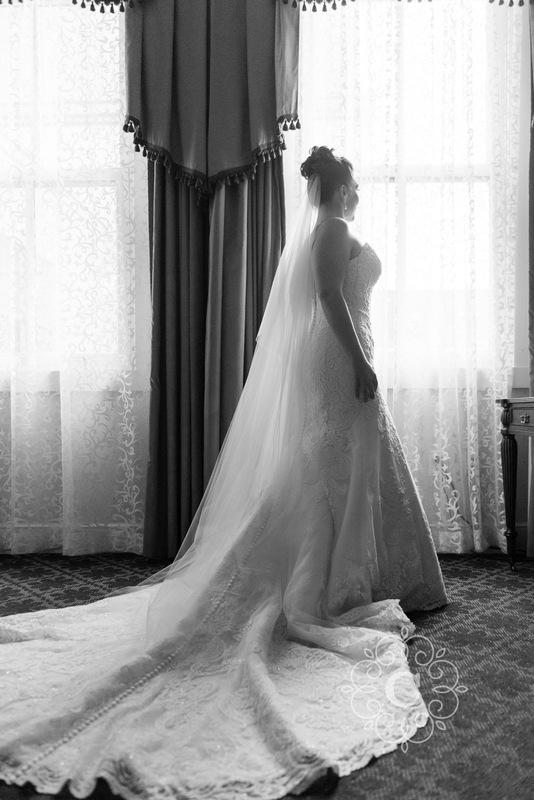 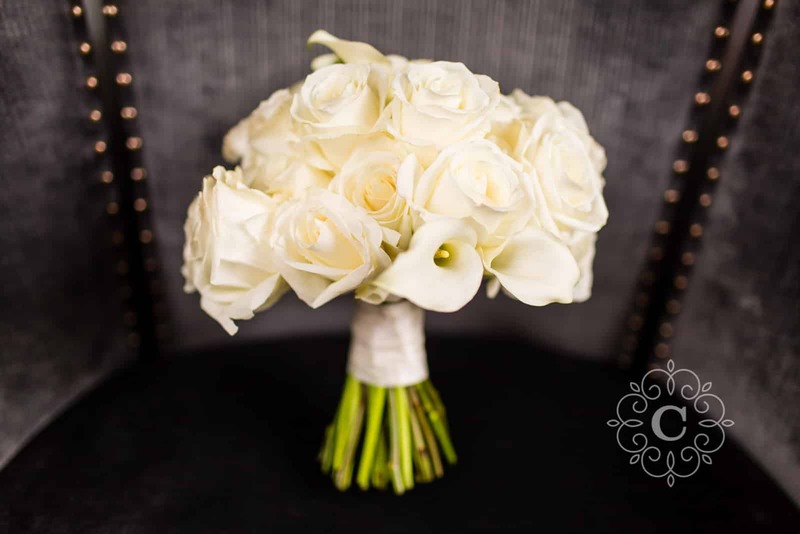 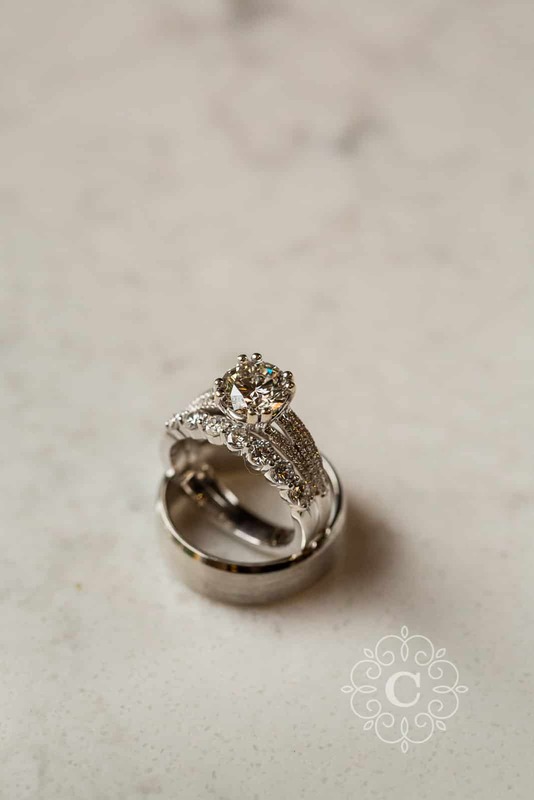 Take a look at this slideshow to see more images from their beautiful day!